Ceramic tiles are durable, easy to maintain, and easy to install. 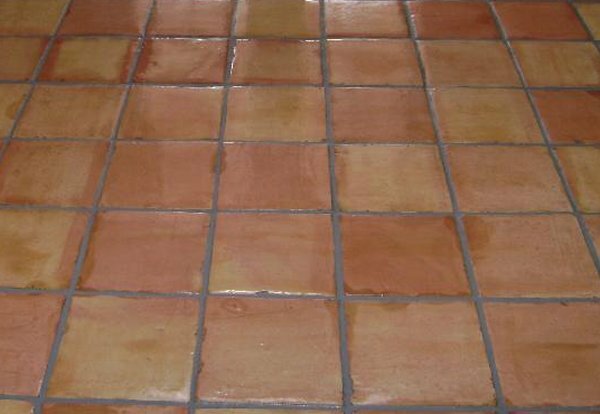 These are the most common floor tiles in Mexico and are also used on walls, sink surrounds, and other surfaces. The cost varies depending on the design and glaze, but the average is about 140 pesos per square meter. 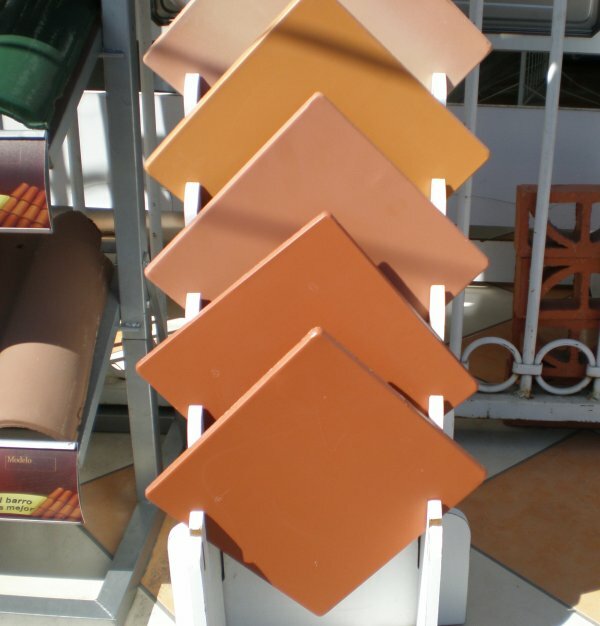 Individual tiles usually measure 30cm x 30cm or 33cm x 33cm, or larger. Among the most popular ceramic tile manufacturers in Mexico are Vitromex and Interceramic. Porceline tiles are very similar to ceramic tiles but are fired at a higher tempurature. Terra Cotta is used to define both a color (reddish) and a type of clay tile. Clay tiles (also called barro) are more porous and require a glaze. Even with the glaze, they can stain easily and are high maintenance. However, they are quite beautiful and for some people are well worth the trouble. The main manufacturer of terra cotta tiles in Mexico is Ladrillera Mechanizados. Saltillo tiles are even more porous than terra cotta. They are more difficult to install and require heavy maintenance. Every 18 months they should be stripped and resealed. These tiles---whose hues range from pinks to beige, yellow, and terra cotta---are made in Saltillo (where else!?) and offer a lovely rustic look. Pisos Coloniales is a good source of information; their website (in English) gives lots of photos and ideas. 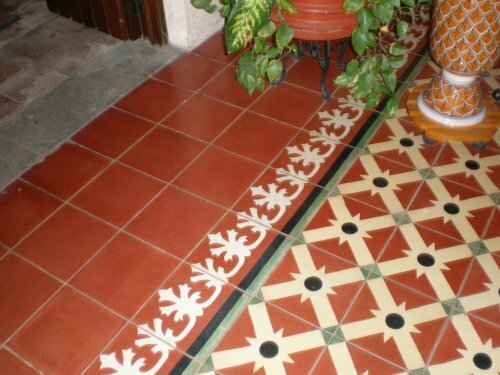 You can also buy pre-glazed Saltillo tiles in Tlaquepaque. 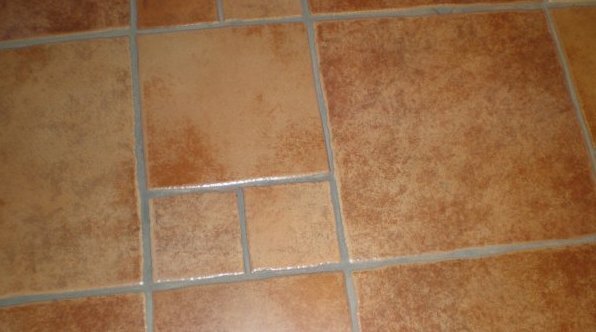 Of these, pisos con resina (pre-sealed floor tiles) can be used indoors or out, while pisos vitrificados (glazed floor tiles) are for interior spaces. See also Ceramic San Pedro for more ideas and photos. Talavera tiles are hand-painted clay tiles used mostly in kitchens and bathrooms. True Talavera originated in Spain and was brought to the New World with the conquerors, where local artisans added different colored glazes of their own, expanding the original palate of colors to include yellow, orange, green, and brown. The original Talavera workshops were in Puebla, and later Tlaxcala. Both states continue to produce the country's best. A different type of Talavera is produced in Dolores Hidalgo, Guanajuato. Talavera tiles may chip when used on a work surface like a kitchen counter. Since they come both in patterns and solid colors, you can use more durable ceramic tiles (sold at Vitromex, for example) for the work areas and use Talavera tiles in a similar color scheme for the trim. 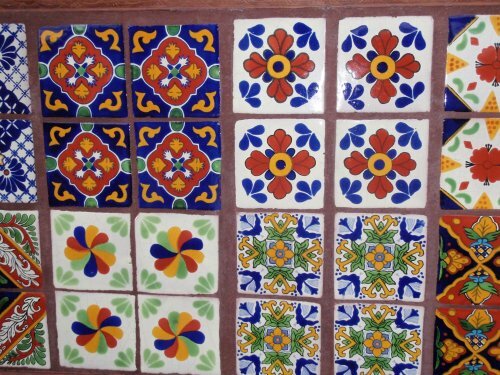 There are several stores offering a good selection of Talavera tiles in Tonalá, outside Guadalajara. Encaustic Cement tiles (also called tapetes or mosaicos) are practical and very traditional. They are often used in hotels and restaurants. The tiles are smaller (25cm x 25cm) and you may choose to have a ruglike design in the middle. There is a factory in San Luis Postosi that makes these tiles and they will deliver. See Original Mission Tile website for design ideas and more details. As these tiles are very traditional, you might find someone in your town or village that makes them by hand.